Hey guys! I just found out about the most darling clothing brand, CLEO MADISON. They specifically carry designs revolved around modest dressing. I love this concept! Not only are they boutique style items, which is always a cute option for getting a little more dressy over the weekend, but they are perfect for week-wear and work. Easy like Sunday morning! I know most days I am chasing around the kids and need to be able to bend over and feel covered. I love a good dress - but also LOVE to be comfortable! We usually head to church, and then grab lunch or spend the day with our family at Rob's parents and there isn't time to change into lounge-wear. 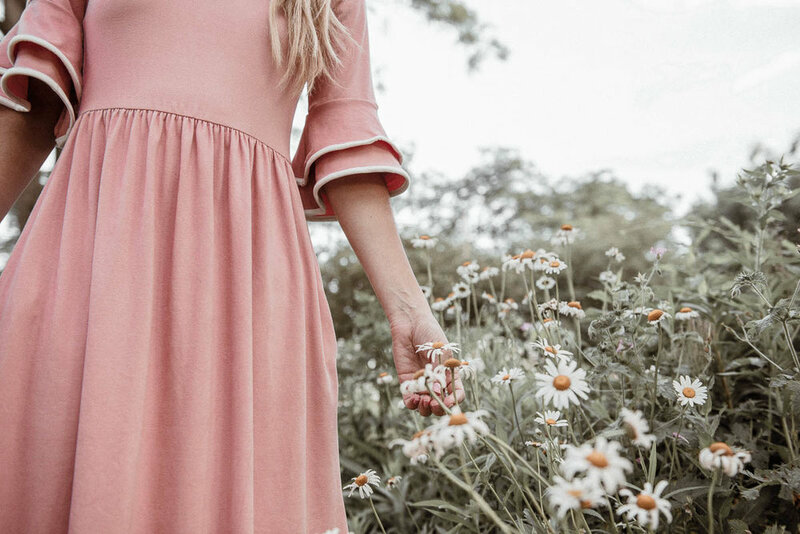 Good news is these dresses are so so so soft - you feel like you are still in your favorite jammies. If you like dresses that are comfy and keep you covered these are for you! (They also have super cute nursing-friendly options for my fellow baby-mamas!) PLUS - they are super affordable! Mine is on sale now here, only $25! I wish you guys could feel how soft it is - like a worn in t-shirt. Make sure to sign up for their emails and you will get 10% your first order! Check out their full selection of dresses here and follow them on Instagram here to be the first to know about latest sales and styles!